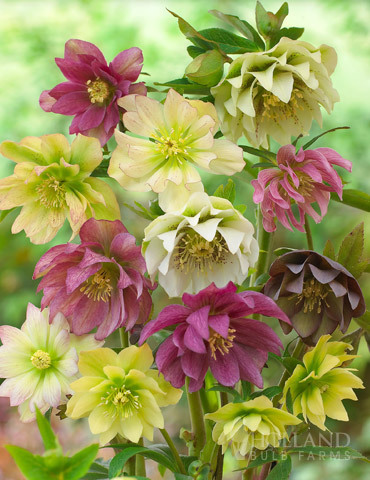 Hellebores are also known as Lenten Rose or Christmas Rose. Colors range from white, yellow to burgundy. It has evergreen foliage with profuse blooms. BLOOMS IN WINTER! Does well in part to full shade.